Sophie Jenner is freelance fashion illustrator and graphic designer. 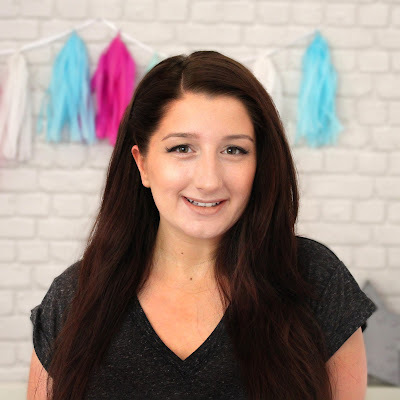 She has had many years experience as a graphic designer, designing interior wall decals, logos, branding and social media banners for many bloggers and YouTube personalities. Sophie has illustrated many celebrities and household names such as Adele, Jodie Marsh, Zoella, Katie price, Nicki Minaj, Little Mix and Alesha Dixon to name a few. Her work has been shared by lots of celebrities on social media gathering thousands of likes on Instagram. With a following of over 3.2k on Instagram, her work is widely recognized by her unique style. After having many requests to illustrate commissioned pieces, Sophie has launched her website selling her custom fashion & bridal illustrations. Either purchase the digital copy of your own custom illustration which is perfect for posting on social media sites or purchase the deluxe print package which includes the digital copy and a Giclee art print which you can frame and cherish for decades. We hope you like the look of Sophie's previous illustrations and would love to add your custom illustration to her portfolio soon! I started fashion illustration back in 2014 and began posting my illustrations on Instagram! I loved seeing all of the different fashion illustrators online post their illustrations of celebrities from red carpet events and just wished I could draw like them. So, I watched a lot of YouTube videos and read a load of blog posts all about fashion illustration and the proportions of the body, and I practised – A LOT! I’ve loved Art and Fashion since I was really young. I have always enjoyed designing and making things, from textiles to graphic design projects, but my main inspiration to start fashion illustration would have to be Hayden Williams. His fashion illustrations and collaborations – he’s worked with the likes of Kate Moss and Rimmel London – are so inspiring! I would describe my creative process as a relaxing time for me to just think solely about my illustrations. I find illustrating really mindful and it helps to ease the anxieties and stresses of everyday life. Its also very rewarding when my followers and customers are genuinely happy with their illustrations, their comments make me feel very content. What is your favourite medium to work in and why? It would have to be mixed media. I generally start with pencil and work my way from fineliner to ProMarker, and then I fine tune my illustrations on Photoshop. ProMarkers are my ultimate favourite markers as they blend so well and don’t leave any scratchy pen marks or lines on my illustrations. How do you tackle a blank canvas? A blank canvas is a daunting one, especially if I don’t have an image or outfit in mind. I usually have a photograph of the person or celebrity I’m illustrating in front of me for reference so that I make sure I include the important details. It would have to be finding the time to do it! As I’m only freelance at the moment, juggling our own business Vunk with my fiancée Craig and my freelance illustration work can be hard at times. In which ways do you differentiate your work from that of other artists? I wanted my illustrations to be recognisably mine from the get go. I had researched other fashion illustrators’ work and they each had their own trademark style that set them apart and made their work theirs. I wasn’t going to attempt to illustrate faces as I’ve never been very good at portraits, so I drew my fashion illustrations without faces at first but they still needed a little something. So I started illustrating flicks where the eyelashes would be on the face and this became my trademark style. A good quality bleed proof white paper sketchbook, a mechanical pencil, a pencil eraser, a 0.01 black fine liner and my ProMarkers. I wouldn’t say Photoshop and my computer are essential as although they do help fine tune my work, I could finish an illustration without them. How would you describe your studio/workspace? My workspace is often my sofa or my garden, as even though we have a home office for our business, I rarely illustrate in there or at a desk. I’m a more casual illustrator. I love putting my favourite music or TV programme on in the background and curling up on the sofa with a cosy throw, my sketchbook, pencil and markers, and my cat Scottie. Any tips for preparing a portfolio? I haven’t actually created a physical portfolio as yet, as all of my work is displayed on social media via my Instagram page and my website. Do you have a favourite art tip that you can share with our readers? I always used to illustrate from my imagination and not from what I was actually seeing in front of me. Even if I was looking at a scene I would subconsciously be drawing from my mind and not my eyes. I realised this in sixth form when I moved school, when most of my class where all amazing at drawing to scale perfectly! It was then that I noticed they all really looked ,and I mean properly examined, at what they were illustrating. Once I started to look-and-draw not think-and-draw my proportions and detail got a lot better. I have an Instagram page where I post the majority of my illustrations. which I’d love for you all to follow me on! It would be great if you could check it out!